Cathy Roumell drafts and prosecutes patents, copyrights and trademarks, performs Intellectual Property analysis, and counsels international and domestic clients, predominantly in the automotive industry. In addition to holding a degree in medical technology, Cathy has completed graduate studies in polymer engineering and DNA. She was a biological and parenteral quality control analyst for Parke-Davis Pharmaceutical Company and NYSE registered stockbroker for Dean Witter Reynolds. 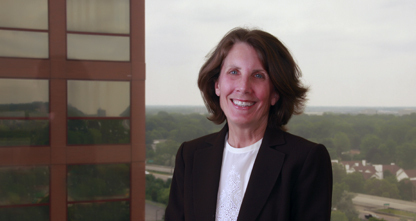 Cathy is also Past President of Michigan Intellectual Property Law Association.